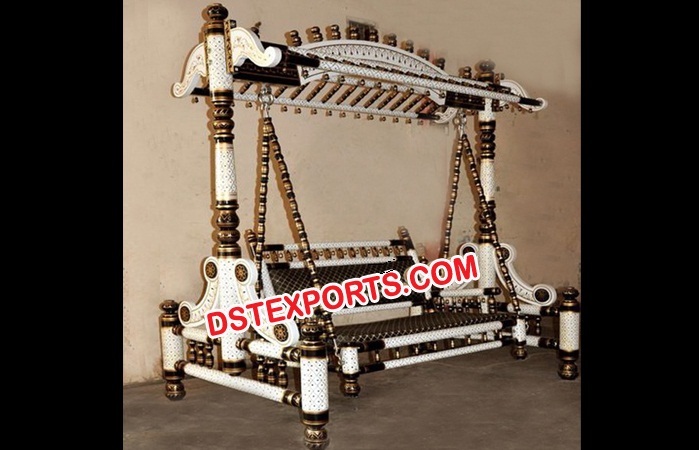 We are manufacturer and exporter of all types of Wedding Swings Like Wedding Sankheda Swing, Wedding Stage Jhula, Brass Metal Wedding Swing, Ganesha Sitting Swing, Wooden Carved Swing etc...These swings are very beautiful and attractive as these are made by our well-trained professionals using high-grade materials. The swings offered by us are well cushioned and covered with attractive fabrics and other embellishments. We are able to offer the Sankheda Swing in many sizes and designs as per the requirements of our customers.